How does Batman artist David Finch work? How Does a Batman Comic Book Penciler Work? Artist David Finch explains how he draws superhero scripts and shapes the experience for readers. Photo illustration by Slate. Photo by Mike Jara/DC Comics. This season on Working, we’re talking to the people who make Batman comics, leading you through the artistic production process. 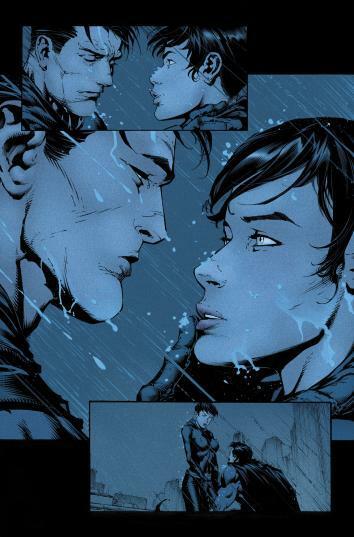 When Tom King, who we spoke to in the first episode of this series, began working on a story in which Batman proposed to Catwoman, he was eager to bring in one artist in particular: penciler David Finch. The pair had begun King’s run on Batman for DC Comics together, and the writer felt it was important that they jointly conclude this arc of the characters’ run. For this episode, which you can listen to via the player above, we chatted with Finch about his role—and how he got his start in the business. Finch, who describes his background as “unorthodox,” tells us that he was a high school dropout. “I knew that I could draw, but I come from an auto town: Windsor, Ontario,” he says. “It’s pretty far from being an artistic mecca. I never saw art as an option.” The few drawing classes he took were “mind numbing,” but as he was trying to decide what to do with his life, he started to read through his sister’s comics. He realized that these were worlds you could dream into being on your own, a prospect that excited him far more than anything he’d tried before. His first break came about after a series of severe rejections at comic book conventions. Though those early experiences may have been frustrating, he suggests that they drove him to begin perfecting his craft. “I find that the people that are the most vicious are also the most helpful if you’re willing to listen,” he says. Eventually, he caught the attention of the editor in chief of Top Cow Productions, a publisher that sprung up during the comic book boom in the early ’90s. Though Finch feels now that he wasn’t really ready to work in the industry at the time, that connection led to a three-month internship that helped shape his subsequent career. Ultimately, though, it was his relationship with comic book writers that shaped his love for superhero storytelling. His later attempts to script Batman tales of his own were, by his admission, mostly a bust. 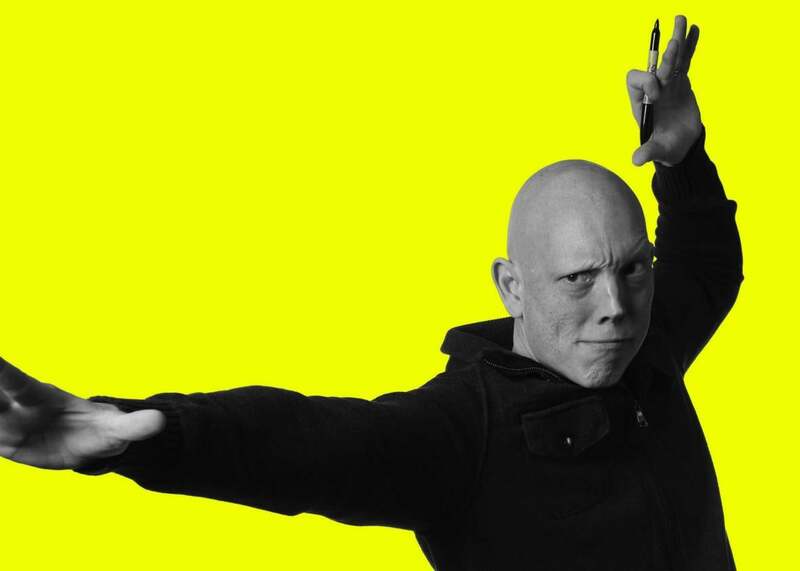 But long before he began collaborating with King, other writers such as Brian Michael Bendis helped make the characters themselves real for him, in the process turning him into a true fan of the stories he was drawing. Though Finch works one page at a time, he’s learned to read those scripts carefully before he begins. When artists fail to do that, he says, they can too easily miss details that come up later: If Batman is going to smash through a window on Page 5, for example, it’s important to make sure that it’s already there on Page 4. (King, for what it’s worth, is apparently good at making sure he lays those reference points out in advance.) Once he’s begun working, though, Finch—who describes himself as “a horrible communicator”—rarely reaches out to the writer. That freedom comes through most clearly in the ways he lays out his pages. Whereas King dictates the number of panels, their contents, and, of course, the order in which they appear, it’s Finch’s job to figure out how they’re shaped. 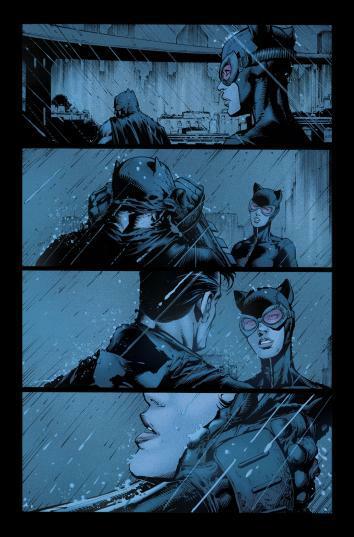 In the Catwoman proposal issue, for example, some pages feature panels that dramatically and jaggedly overlap, surrounded by irregular swaths of solid black. On others, four neat rectangles will run down the page in regular sequence, each atop the next, pulling the eye down the page. The effort that Finch puts into penciling pages is reflected in the amount of time that he spends working on them. Though he always dedicates part of his day to family activities, he spends most of his hours drawing in his basement studio surrounded by the artwork of other creators that he admires. He keeps working after dark, typically continuing until midnight. While he sometimes corrects his efforts on the computer if he’s made a mistake, he almost always works on paper—11-by-17–inch sheets of Strathmore Bristol. After he’s done, he puts those pages in the mail and sends them off to his inker, who carefully works over them, adding texture to the drawings and preparing them for the next steps of production. He and Danny Miki, who usually inks his pages, may not work in the same studio, but their professional relationship still requires a great deal of trust. 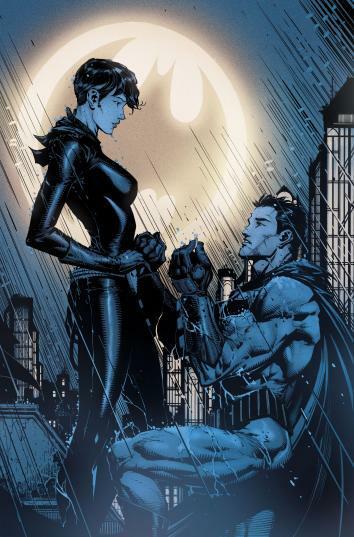 The fruits of their joint efforts are visible throughout much of the proposal issue (some sections were handled by brothers Clay and Seth Mann), but they stand out on the issue’s dramatic final page: Batman, sheathed in muscles, kneels before Catwoman, a diamond ring in one raised hand. A familiar signal illuminates the sky behind them. Then in a Slate Plus segment, Finch talks about some of his favorite stories that he’s worked on over the years and some of his favorite characters to draw. If you’re a member, enjoy bonus segments and interview transcripts from Working, plus other great podcast exclusives. Start your two-week free trial at Slate.com/workingplus.